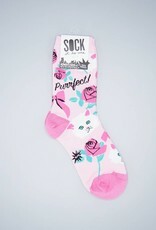 Soft and stretchy baby pink socks covered in white cats, pink bows, and roses... What could be more purrfect? Envelop your feet in total cozy cuteness and remember that YOU are just as adorable, amazing, brilliant, and charming as the fluffy white kittens decorating your socks. It's true. 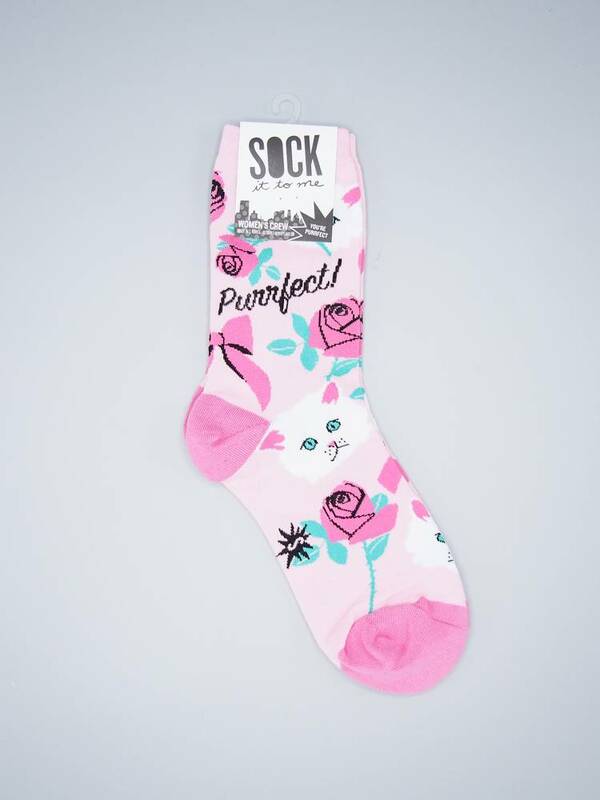 You + These Socks = the most purrfect thing of all. Paws-itively purrfection. We're not kitten! 51% Cotton, 46% Polyester, 3% Spandex. Made in Korea.